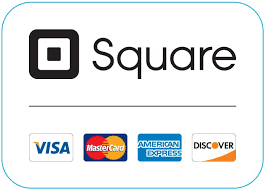 Upon check out, your order is processed with Square Register, where the following is accepted: Visa, Master Card, AMEX and Discover. You can also place your order through PayPal if you prefer upon check out. Items ordered will be shipped within 1 - 3 days of the order but can take up to 1 - 2 weeks delivery depending on availability, show schedule, and courier method. Please specify in your order if you need something as a gift for a specific time or if it needs to be shipped expressed. Additional shipping charges may apply. You will get a notification from USPS or Fed Ex with a tracking number once it is in route. In stock orders will be shipped within a day or two of receiving them. If you want your item to arrive in time before Christmas, Dec 25th, all normal Fed Ex ground, US Priority Mail, First Class Mail shipping rates will be offered till the Dec. 20th for US shipping. After that, Overnight and Fed Ex Express will apply depending on the distance of course. Please do not hesitate to let me know you need it shipped express! Otherwise, non Holiday shipping rates and schedule apply as normal. Attention Albuquerque and Santa Fe, NM Customers! Local - Albuquerque, Santa Fe, and surrounding area, I am happy to deliver orders of a $100.00 or more! Message me below if you would like to do this! *I don't accept cancellations. But please contact me if you have any problems with your order. Undamaged returns will be honored with in the first two weeks unless specified personally. Returns can get a full credit in the online shop. All shipping charges are the customers responsibility. Most t-shirt orders are custom printed. There is a size chart for the customer's convenience to help with deciding on the right size. It is posted with every t-shirt item on my page. I do not exchange t-shirts because of size issues. It is not how this shop works. However, I do handle each issue as a case by case basis. Meaning if I can resell the item, I will exchange it. All shipping fees are the responsibility of the customer. Returned T-shirts can not be damaged or washed. In stock items are shipped within the 1-3 days. The customer is always contacted about status of items shipped through courier notifications. Shipping is USPS, first class or priority mail or Fed Ex Ground. Faster shipping is available at an extra charge and can be requested. Once the merchandise leaves my hands and I have done my part, it's in the responsibility of the carrier. Please understand I do not ship damaged goods nor do I pack poorly. I have a very good track record. Getting angry at me is not going to help your issue. I will be as disappointed as you are if you receive your item damaged in transit. If your item comes damaged, please message a civil notice to me promptly. Pictures of the damaged item with the packaging have to be provided in your message so a claim can be placed with the carrier. If you do not follow my procedures I will not replace the item, no exceptions.